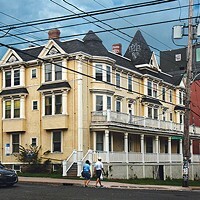 The Elmwood apartment building on the corner of South and Barrington Streets. 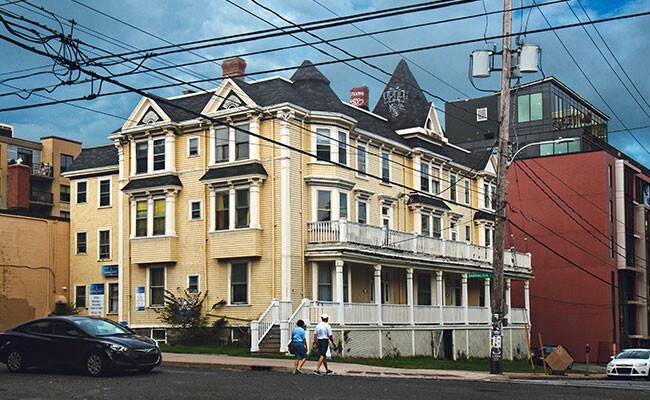 One of the oldest buildings in Halifax without official heritage status is getting another shot at life thanks to its new owners. 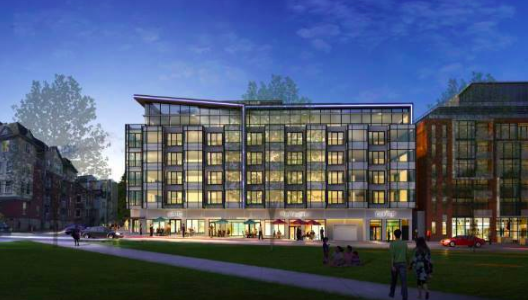 Galaxy Properties is working with HRM's heritage team to try and save the Elmwood, and it looks like it might actually happen. 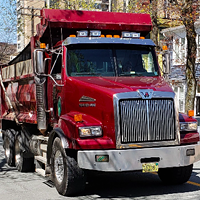 Tony Metlej’s Galaxy Properties recently bought 5185-5189 South Street from Principal Developments (owned by Paul, Renee and Peter Metlej), who had owned the property since 2014. Murnaghan says discussions to preserve the Elmwood were ongoing even before the sale. After the property changed hands, Galaxy approached city hall about what tax incentives could be offered to help save the 110-year-old structure. The developer's request dovetails with work staff is already undertaking to create new planning incentives for the proposed “Old South Suburb” heritage district. 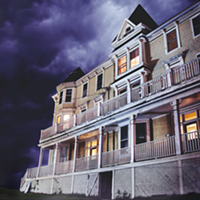 In exchange for the restoration of historic buildings, HRM will offer more flexible development rights. A staff report on the idea won't be back to council for another few months, though. 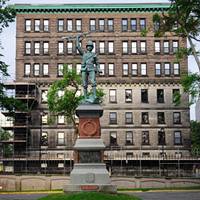 The current Elmwood building dates back over a century to the hotel owned by famed sea captain James Augustus Farquhar. Over the decades it’s been home to generations of Haligonians. 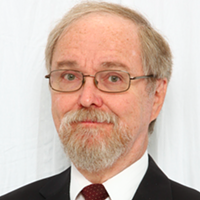 Counted among its more notable former tenants are Ellen Page and area councillor Waye Mason. But time and neglect have left the property in dire need of repairs, making it practically unsalvageable. The proposed designs from Paul Skerry architects that Principal Developments wanted to build on the site. Principal Developments had planned to tear down the site and erect a six-storey apartment complex. 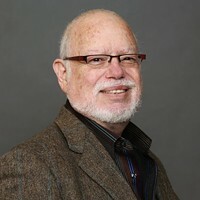 The idea was protested loudly by local heritage advocates like Saint Mary's University professor emeritus Larry Haiven. Galaxy's decision to try and preserve the site instead is—according to Haiven—a sign of something important happening in HRM's development scene. But the Elmwood isn't out of the woods just yet. Galaxy still needs to present its plans for the approval of staff and HRM's Design and Review committee. 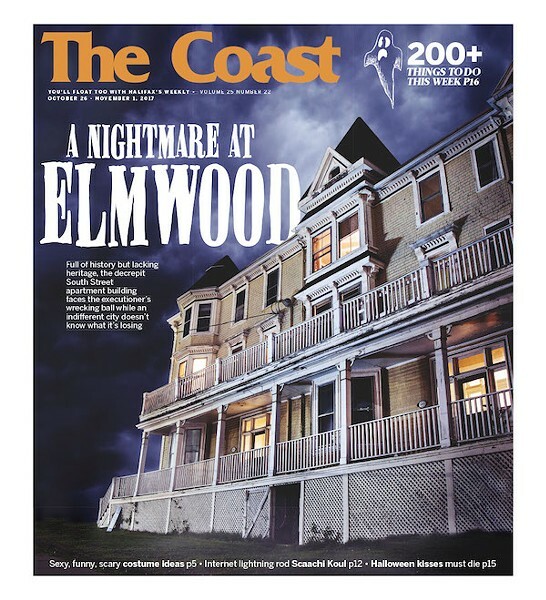 The Elmwood as cover model on The Coast's latest Halloween issue. According to Murnaghan, that proposal will include additional density. The developer wants to build new residential units along the side and back of the building (currently a small parking lot), which will push the Elmwood even closer to the “SOHO” building Galaxy is finishing next door on the corner of South and Hollis. Should the process stall, or if Metlej changes his mind, the prior planning agreement for a six-storey mixed-use building is still in play. But both sides are hopeful. The acclaimed planning expert talks to The Coast ahead of this week's Nova Scotia Heritage Conference about what we consider worth saving.